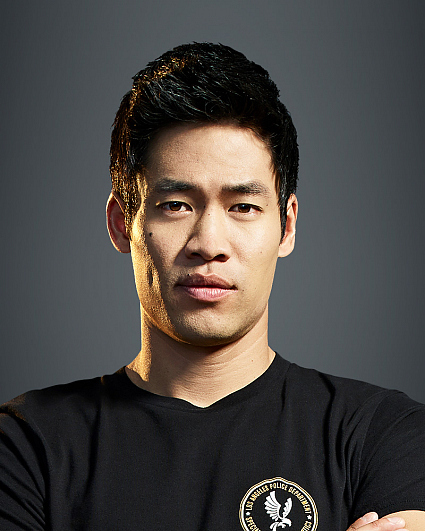 David Lim is an actor and model who most recently appeared on television in a recurring role on the drama series Quantico. His additional television credits include guest roles on Supergirl, Agents of S.H.I.E.L.D., Castle, Hollywood Heights, 90210, and Criminal Minds. Prior to acting, Lim booked several small, unpaid modeling jobs which led to him being contacted by an agent from Ford Models. In 2009, he signed a contract with the agency and moved to Los Angeles shortly after to pursue modeling and acting professionally. Lim is of Chinese descent and was born in Oakland, CA. He was raised in the Bay Area, where he enjoyed playing basketball, baseball, and soccer from his early childhood through his high school years. Lim attended the University of California San Diego and graduated in 2005 with a Bachelor of Science degree in electrical engineering. In his spare time, he enjoys playing basketball, traveling, photography, and spending time with his friends and family, which includes his sister, a fellow UC San Diego alum. His birthday is Sept. 23. Follow him on Twitter and Instagram @davidbradleylim.